This beautiful family run hotel is a peaceful and pleasant venue combining original features with modern style and facilities. Our genuine service and high standards of hospitality and accommodation will make this feel like a home away from home. Our favourable location is an excellent base from which to explore the Historic city centre of Exeter or walks along the East Devon Jurassic coast with all of the beauty that the coastline and beaches have to offer. With ample free parking for hotel guests and the convenience of only being minutes away from the M5, A30, Exeter airport and Westpoint Arena we know you will not be disappointed. Another comfortable stay at The Grange Court, always had a polite welcome and comfy stay. Good breakfast set us up for our onward journey. Enjoyed my stay. Clean, comfortable (except desk chair) and very quiet. Great staff, who gave me a lift to my meeting at the Met Office two mornings. Decent breakfast. Pleasant walk to Jack in the Green and back. Perfect location, lovely little hotel, delicious breakfast, amiable host, would certainly recommend. We visited The Grange out of season for Valentines at The Jack just a few hundred metres away. The hotel was beautifully clean and the staff were very friendly and helpful. Good honest breakfast. Quiet and homely. We would stay again. Thank you. A very warm welcome to this lovely family run hotel. My room was spacious comfortable and obviously has very recently fitted "new" en-suite. Breakfast was excellent with a very wide choice of options. I will definately stop here again when next in the area. Ideal location for Exeter Airport this is a lovely boutique hotel and I would definitely recommend. comfortable room and modern bathroom in this guest house.Nice welcome from the owners. The word " hotel " is misleading. this is a bed and breakfast / guest house. Wonderful family atmosphere, home from home,nothing is too much trouble for the guest. Probably the best Full English Breakfast in the country. Welcoming, very clean and quiet with a good quality, nicely cooked breakfast. A recommended overnight stop. We had the pleasure of staying at this charming hotel. The rooms are very comfortable, the breakfast is tasty and substantial, and the kind owner even ferried us to our awards event. Certainly recommended! lovely staff,food great,beautifull room with a view.great consideration for our situation with regard to the wake. we were so comfortable and relaxed.could not fault this hotel in any way.thank you. Although the bed was a little uncomfortable, the service, food and cleanliness were excellent. Would definitely recommend this accommodating and friendly place. I had a brilliant stay at the Grange Court Hotel. They were very helpful and the room was prepared early so that I could attend and wedding and leave my stuff/get ready before the original stated check in time. They also provided a taxi contact to make our journeys to and from Rockbeare Manor easier and the room was extremely comfortable and clean. Very friendly staff. Lovely room. Enormous bed...very comfy mattress. Nice linen and decent sized towels. Breakfast was well cooked and very tasty. All in all a very pleasant experience. Excellent experience and would use again. Look out for the hotel road sign as sat nav does not work! We were all very impressed with the very attentive and friendly service that we received at our booking group meeting/get-together beginning October '18. Nothing was too much trouble,lovely afternoon tea and breakfast. A lovely setting and atmosphere in a family run establishment. We had the pleasure of staying for two nights at the Grange Court Hotel while we were attending a friends' wedding. This family run venue was ideal for our needs and right from the moment we arrived the standards of hospitality and service were faultless. The choices for breakfast, ranging from toast, cereals and full English breakfast were of the highest standard. I would recommend anyone to stay here. Hotel owners were very nice and friendly. This hotel has an excellent standard of cleanliness, from individual rooms through to the communal areas. Staff are always on hand to help and to offer information on places to eat locally & history of the hotel. Even though Grange Court is close to the airport and a short drive away from Exeter, it is set in beautiful, tranquil gardens. Although our room was small it had all the amenities you would expect. Breakfast was very good and there was plenty of choice. Very warm welcome when we arrived, rooms very clean and functional. Water-flow in shower could be better. Well stocked bar. Excellent Breakfast cooked to order.Fantastic setting. Would stay again. Ideal quiet location close to Exeter airport. Lovely spacious executive rooms with good facilities and very comfortable bed. Good breakfast. Lovely friendly hosts. Hi, we only stayed at the grange for one night but really enjoyed it, the building is beautiful and set well back from the road, we had no problem finding it. We had a warm friendly welcome from the staff and our room was very clean tidy with a good quality bed, the breakfast was superb and all the staff we met were friendly and very helpful. I would definitely recommend staying here and will definitely return. Super hosts, lovely room and a proper English breakfast! excellent ,very clean will return if in the area . So pleased we chose this hotel for the family, we had three rooms. The rooms were spotless and the cooked breakfast was excellent. I have no hesitation in recommending this hotel. Situated in the lovely Devon countryside there are numerous lovely places to visit, from an ultra clean hotel, with an excellent breakfast to start the day. The service is excelent, and the english breakfast is lovely. The family run Grange Court Hotel is in a very nice quite setting not far from Exeter Airport,we had a lovely breakfast the bed was very comfortable and everything was spotless,we also found all the family to be helpful and friendly. Stephen and Wendy from Lancashire. Grange court is a lovely hotel. It has a friendly, family feel. Would recommend this place to anyone. We had such a lovely stay here, as soon as we arrived, the staff were so Could not do enough to help us with anything we needed. The rooms are very clean and comfortable and the breakfast was excellent. Lovely family run hotel that provides a warm welcome, comfortable rooms ( great shower) and a fabulous home cooked breakfast. Definitely worth a stay if you are planning to stay in the area or attend a wedding nearby... highly recommended!! Clean, well equipped, every thing you needed. Welcoming and friendly, there to help in whatever way they can. I would fully recommend this hotel as the staff were very friendly helpful and welcoming. The stay was very comfortable and we couldn't fault anything. We would definately come back again. My wife and I stayed here for 4 nights in August. All hotels have their particular strengths - Grange Court is in its staff. Any request was satisfied immediately, and though there were different members of staff on duty at different times, every one of them was keen to ensure that we had all that we needed for a comfortable and enjoyable stay. We had a wonderful stay at the Grange Court Hotel. I had emailed previously and Hollie got in touch to straight away to answer any questions. When we arrived I had one very hungry husband but again, staff sorted us out straight away by making us sandwiches! They helped us sort a taxi and even offered to take us into Exeter to catch our train if for some reason the taxi driver didn’t turn up. Breakfast has a nice choice of cereal, fruit and croissant and the full English breakfast sorted us out after being at a wedding the night before! Set in beautiful countryside. Great breakfast with lots of choices. Hotel Gardens really expansive and pleasant to walk round. This is the second time we have stayed here, gorgeous hotel, lovely staff, clean and comfortable, we are looking to stay again soon .Highly recommend. Very pleasant stay in beautiful room. Lots of attention to detail. Breakfast v good. Need bigger teapots! A group of 9 of us stayed here on Sunday 29th July for a wedding in near by Rockbeare Manor . What a lovely hotel , a very warm welcome, very comfortable clean bedrooms. The owner was very helpful with taxi requests, serving drinks in the lounge before we left for the wedding. Breakfast the next morning was plentiful and very good quality and the cooked breakfast was lovely. Would definitely recommend to anyone to stay here and it’s perfect for the Manor nearby. Very clean bedroom and faccilities and very friendly and helpful staff. for them. The hotel was immaculate and breakfast was second to none. Steve made us feel very welcome and relaxed. We would definitely like to return. Firstly the hotel is beautifully kept , with a smell of fragrant flowers greeting us at the entrance . The staff were warm and friendly and went above and beyond to help . I arrived very late with tonsillitis feeling dreadful and very disorganised for my son's graduation . The son in law , who was chatty and polite was kind enough to lend my own son a tie when I realised we had left ours at home . When you are feeling so unwell these random acts of kindness are so appreciated . Whilst the hotel is a tad off the beaten track the views are stunning and I will definitely return to the grange . A genuine family run hotel which stands out from many others in the local area. Bedroom very comfy, breakfast superb, and happy to recommend this home from home to anyone. Marks out of ten - twenty! We cannot praise this hotel enough! The people the hotel the food everything would fully recommend to anyone! Fabulous setting so peaceful and quiet and beautiful countryside. The hotel was immaculate clean tidy. The room was lovely and the staff well nothing was too much trouble. We will definitely be using again and would totally recommend to anyone if visiting that way. Fabulous hotel. We had a good experience right from the booking stage. It was run by different generations of the family and had that feel about it. Our room was clean and comfortable and overlooked a lovely garden. Breakfast was nice and relaxed and had plenty of choice. Full English went down very well! We would certainly recommend Grange Court to anyone. A really nice stop-over on the way to Cornwall. Nice clean rooms and a good english breakfast. The owners are really nice. We even got a free drive to the Jack in the Green where we had dinner. friendly staff and good breakfast. Would stay at this hotel again. We needed somewhere to stay near to Ottery St Mary and found this lovely hotel. Down a long lane off the main road with great views out the back. The staff, breakfast and bedrooms were all great and we would definitely stay there again. We even got a lift to a local pub from the Manager's wife so we could watch England play in the World Cup! How's that for service! If there was one thing I would ask to change, it would be a freshly made pot of tea for breakfast! Otherwise everything was great and I'd recommend this hotel to anyone. Could'nt fault this lovely,small,family run hotel. Will definitely return next time we are in South Devon. We had a very friendly welcome. Our room had beautiful views. It was very clean as was the bathroom. The bed was very comfortable. There was a selection of tea,coffee and chocolate drinks to make plus a biscuit and a chocolate to go with it. There is plenty of choice at breakfast, buffet and cooked. The cooked breakfasts are delicious. It is well situated for travelling around Devon. There are some good local places to eat at in the evening. This was our second visit and we would highly recommend it. Very peaceful comfortable room with lovely surroundings and very friendly staff. Very nice, clean, friendly staff and good facilities. Would recommend and will stay again. From the time that we booked to stay I knew the service would be good, however, the staff surpassed themselves with not just good, but excellent service. Very attentive and with just the right splash of humour making our stay a memorable one. I would wholly recommend going all out with the delicious breakfast but be warned, it's hot as it is all cooked to order! The beautiful grounds just added to the whole package. 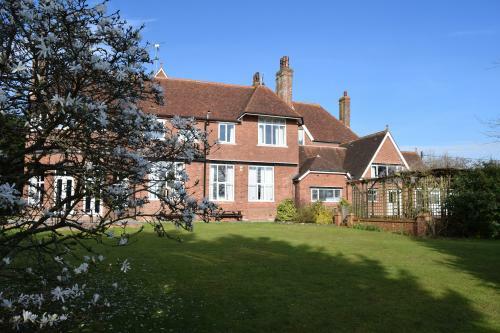 While Exeter is within easy driving distance the more rural surroundings of Grange Court add a very relaxing atmosphere in a cared for, gracious and well maintained family operated establishment. Rooms are not large though well appointed, and guests are welcome to use the large lounge room and outdoor seating area. Run as B&B there are good options for dining within a mile or less. We walked to Golden Pond the closest for an excellent Chinese banquet. A little more detail on 'getting there' would have helped us. Clean, comfortable, quiet and welcoming. Only negative point - my cooked breakfast came out while I was still eating my cereal. A very comfortable and quiet location where an excellent breakfast is served. Beautiful old country home in the countryside, not far from Exeter airport. Spacious comfortable room with cozy bed and bedding, modern bathroom, lots of hot water, garden views all around. Delicious English breakfast served in a sunny dining room, and best of all a very warm welcome and personal attention. Highly recommended! I stayed one night here as was on a business trip. Hotel is in a beautiful location and the hotel itself is lovely and clean- Staff are very helpful. Good sized room with lovely views and great shower. Everything you need is in the room and the breakfast was fabulous. Nice friendly owner, I will stay again! A friendly family run hotel. Pleasant room with comfortable bed. Excellent breakfast. Thank you so much for making our stay such a lovely one. The location was perfect for the wedding we were going to Rockbeare Manor being just a 5 minute drive away. The room was warm (but not hot), the bed very comfortable, the bathroom spotless and the beverages tray crammed with hot drink options as well as biscuits and two chocolates. Breakfast was superb, could not fault the variety available on the buffet table and the quality of the full english was outstanding. Warm and friendly atmosphere, nothing too much trouble. Would not hesitate to recommend. Hotel was warm, clean and friendly. Staff very helpful for any issues. My wife and I stayed at the Grange Court Hotel for one night for a wedding. on arrival we were met with politeness and curtesy. Our room 110 was very clean with a good range of tea and coffee and we were pleasantly surprised. The morning breakfast was good and cooked to order. We found our stay very quiet and peaceful. I would definitely return when in the area and in need of a peaceful and pleasant break. Great hosts from the moment you arrive to when you leave. Thank you for your kind comments, we do normally have tissues in all the rooms, apologies that a box was not put in your room. Charming hotel with peace and quiet. Very clean, comfortable and welcomiing. Excellent breakfast with quick service. Good value for money and can certainly recommend this hotel to stay in. We were very happy with our stay at the Grange Court Hotel. Although a bit of a drive from Exeter it gave us the peace and quiet we were looking for! Several good restaurants close by and easy access around the city made this a perfect spot to stop. Just stayed the 1 night but very impressed stunning place in every way will defiantly return again . So much more tranquil than soul-less big brand chains, 5 mins drive from Exeter. Very clean, tastefully decorated rooms and great personal service from the hotel staff. Very comfortable room, made to feel very welcome, nothing too much trouble, excellent breakfast, look forward to our next visit to see family in Devon. 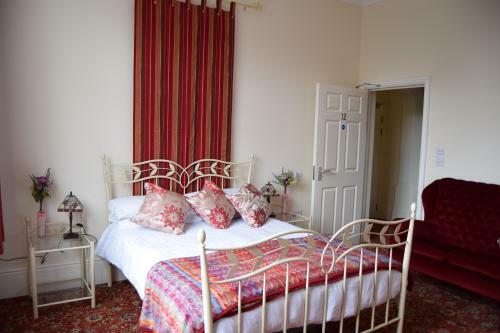 We stayed for one night as we were going to a wedding at Rockbeare Manor.We had a lovely room with a spacious en suite, a comfortable bed and a super breakfast. Great hotel clean,friendly staff they made as fill at home, breakfast was large and very nice. We stayed at the hotel as we where going to a wedding near bye and would happy go back and use it as a Hoilday base. We found everything was good.The room was really clean, comfortable bed. Tasty breakfast. Would stay again. Friendly staff. Warm and friendly welcome but not over the top. Nothing too much trouble and small bar available for drinks. Breakfast cooked to order and delicious. Very quiet spot with clean, modern rooms. Friendly staff making it a pleasant stay. Very clean, and very warm management. Comfortable bed and excellent breakfast! I arrived here on a motorcycle and was warmly welcomed..'which makes a pleasent change'..was even allocated undercover parking as the weather was poor..! Room and everywhere else was very plesant..I will certainly stay again. Lovely location, room very clean, good choice and quality at breakfast. Staff very friendly. Would recommend. Friendly and welcoming. Beautiful grounds. Tasty breakfast. Very clean rooms and communal areas. Added bonus was a housemartin nest outside our window with the young being fed by their parents ! Stayed 3 nights but would love to have stayed longer in this lovely hotel. My wife and I stayed overnight, travelling on to Nottingham. The welcome was so warming, room was lovely and clean. Best bed I've slept in for a long while. Breakfast brilliant. Great price. The lounge rooms, gardens and views gave a relaxing feel. A lovely quiet family run hotel. Thankyou. I would strongly recommend it and use it again. A lovely evening at a beautiful hotel. All the staff were so helpful, we couldn't have asked for more. And the cooked breakfast was excellent. We will definitely be staying again. It has been ok for one night, for a longer stay the room is too small. Our overnight stay enroute to Padstow was shortened due to the lengthy delay of our Flybe flight from Newcastle to Exeter. Upon telephoning the owner, he gladly agreed to be woken up at 2.30am in order to welcome us! Thank you so much! We really enjoyed our"short" stay and were impressed with all that the hotel had to offer. This hotel is in a lovely location perfect if you are attending a wedding at Rockbeare Manor . The owners are very helpful with where to eat and gave us a local taxi which was reasonably priced . We went for a small double as just a one night stay and it was very small and a little window but it was clean and bed was comfortable. Breakfast is lovely full English was super. Lovely big garden and a nice lounge where you can sit . Very welcoming and friendly, rooms very clean & tidy. Would stay again when next in the area. Lovely rear garden and outdoor BBQ area. The hotel is set in lovely surroundings, very quite and peaceful. Enjoyable breakfast freshly cooked, friendly staff who are very accommodating. Hoping to return in the very near future. Six night bed & breakfast stay at a reasonable rate. The hotel is situated in a quiet location from which you are quickly on to main road routes,Exeter airport or the coast and river locations. The accommodation was comfortable and very clean with biscuits and provision to make hot drinks available in the room. We stayed at the Grange Court to attend a funeral held at the East Devon Crematorium. What a pleasant hotel set in beautiful grounds, lovely clean condition through out and a breakfast that sets you up for the day and the family could not be more helpful and friendly. My rating is based on the fact I am disabled and the room was not adapted for the disabled. Stopped for an overnight with a classic car. Very good and safe parking offered, very quiet place, good access to A30. A very peaceful retreat. Room was good and breakfast was excellent. Hotel owner was very welcoming and recommended an excellent local taxi service. We found your hotel to be very welcoming, the room was very clean. Breakfast was good. In fact we had no complaints at all and hopefully will return one day. Family run with a family feel, nothing is too much trouble, very clean, very tidy, we will be going back. All was perfect and very friendly at the owner family! I'd like to keep quiet about this gem of an hotel. We often stay in Devon, and this is by far the best place we have stayed. A family run hotel that has everything right. Relaxed but still excellent professional service. Large, well funished, tastefully decorated rooms. Spotlessly clean, comfy bed and large luxurious towels. Tasty breakfast, beautiful decor and gardens. We stayed because we were attentding a family gathering nearby, but we'll be back for a purely indulgent relaxing weekend. Grange Court recommended a nearby gastro pub, Jack In The Green, for our evening meal. That too was a hidden gem. Thank you Grange Court. I booked the Grange as I wished to have the quiet countryside as my main objective. This Hotel was a real treat, great staff, clean rooms and fantastic breakfast were among the main highlights of this hotel. Steve and his Family made me feel very welcome straight from the start on my arrival. Nothing was too much trouble and the grounds in which this Hotel is situated were a real treat for me, nothing but quiet countryside views. I shall certainly stay here again on my next visit. Thanks to The Grange Court for a fabulous 6 night stay. A lovely hotel in beautiful surroundings, the hotel was clean and tidy, the staff very welcoming and friendly. A fabulously large lounge for guests to relax in. Breakfast was cooked to order and delicious. What a stunning hotel the hotel is beautiful and the grounds are stunning,The hosts were lovely went out of their way to suggest places to eat.Beautiful breakfast.would return again. We very much enjoyed our overnight stay.Breakfast was very good with excellent variety. Bed was comfortable. 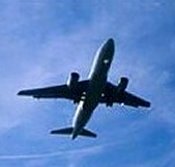 The hotel is perfect for an overnight stay to catch a plane form the airport. Excellent accommodation fabulous breakfast, will definitely use this hotel again if in the area. What a beautiful place, light and airy and wonderful settings. Hosts who would go the extra mile to make your stay enjoyable. Will definitely stay there again. The hotel was really clean and a lovely place to stay. Breakfast excellent and an ideal location for the airport. Thanks! lovely building in a very nice surrounding. you can tell its family run with the friendliness and care all the team took. Good breakfast. in all good value for money. The first glimpse of thechotel is lovely as you turn and the inside is a delight too. The room was very well planned and a comfortable bed with a brilliant shower with endless supply of hot water. Breakfast was a treat and the staff were friendly, helpful and made our stay a pleasure. Beautiful gardens and a fantastic view. Enjoyable stay, will certainly be back and tell friends of the hotel.Thank you for making our visit so nice. Missed the sign for thr hotel on main road as sat nav takes you down narrow lane opposite. Would be difficult in the dark, could do with bigger sign at eye level. Friendly welcome and provision of tea and sandwiches on request very kindly produced. Room very clean and comfortable, shower lovely. Slept well but early flights from Airport may wake you. Lovely breakfast with good choices and variety with friendly chat from host. Overall great choice for comfortable night before work meeting. Would stay again. I couldn't connect to the WiFi which was a nuisance but probably I didn't click on right choice as about 5 WiFi connections showed. Amazing staff, very friendly. Breakfast lovely, grounds lovely, building lovely. A great stay, would highly recommend!! Lovely place, super people, could't do enough for you. Booked one night before our holiday. Very comfortable, excellent secure parking facilities and we were driven to the airport and picked up after our holiday. Very reasonably priced. We would book again.. Excellent - very welcoming and helpful. Great help being able to leave our car with you and be dropped off and collected at Exeter Airport. We will definitely be recommending you to friends. We only live a relatively short drive from Exeter airport but choose to start our holiday a day early by staying at Grange Court. Very welcoming and rooms, food, everything really, at a very high standard. Also some good eateries nearby.Can recommend the Jack in the Green. As an added bonus,for an additional charge, able to leave car for duration of holiday! The hotel is super clean and the team very friendly. The room was quiet and had eveything i needed. I would certainly stay again if in the area. Very spacious clean, light, quiet and friendly. Good standard of rooms with comfortable beds and clean modern bathrooms. Excellent breakfast and would definitely stay here again. Excellent, spotless accommodation. Family hotel and everyone very welcoming, friendly and helpful. Lovely place to stay. Good rooms lovely grounds and very hospitable hosts. Our second stay at Grange Court and once again a very comfortable one. Our thanks to your receptionist who, when our flight to the Scilly Isles was cancelled and we needed to be away at 5.15a.m. to catch a coach at the airport, was most helpful and organised a continental breakfast in our room. We stayed for 5 nights. Our room was a good size and beautifully clean.Shower room was good. Nice TV and coffee and tea making facilities. The view from the window was superb. It is very quiet but near enough to the main road to not make it too remote. Breakfasts were delicious. Staff all very friendly and helpful. Highly recommend it. Friendly, comfortable hotel with very helpful staff. Very amenable and considerate family-run hotel, in a convenient yet tranquil location, delicious breakfast. Set in extensive, beautiful grounds; comfortable spacious rooms; good breakfasts; friendly helpful staff. We thoroughly enjoyed our stay. The only down-side is that they do not serve dinner, which I am sure would also have been excellent! But they guided us to two very good restaurants only minutes away. We hope to come back soon. I found the the hotel reception/owner was very friendly and when I asked if I could extend my stay, if it was necessary, there was no problem. As it happened I did need the extra night. I would recommend this establishment to anyone wanting accommodation in this area as the room, although classed as a "small single, was most comfortable and the facilities were excellent as was the full English breakfast plus all the other options. Thank You Grange Court Hotel. Set in a quiet rural location, it's peaceful and tranquil there. The co owners make us feel very welcome and did all they could to make sure our stay was pleasant. Good freshly cooked breakfast. A great hotel to stay in and explore Exeter and the surrounding area. Great hotel to stay and so convenient for our wedding venue. Beautiful location, peaceful surroundings. Lovely rooms and most enjoyable breakfasts and company. Arrived late and left early - not a problem - clean tidy and friendly - will recommend to business traveller on early flight. Lovelly guest house, with modern bedrooms but old world charm in lounge and grounds. Very friendly and helpful staff who went out of their way to make us feel welcome and to help out when needed. Great value for money. We were at a local wedding so location was ideal. Our room had everything you would need, it was an OK size but we were late booking so I would have liked to have seen other rooms. Beautiful bathroom and tasty breakfast. Staff very friendly. The hotel looked a little dated and I would have liked some fresh flowers rather than numerous vases of fake flowers. Love this place !!! It is so welcoming and makes you feel like your home . The grounds are beautiful and the people running it are warm and friendly . We will be back and strongly encourage all to try it ! We stayed here as we were attending a wedding. We made the journey from Leeds on a Friday night, and didn't arrive until almost 10pm. We were greeted with fresh milk to make a much needed cup of tea. The next morning we had a lovely breakfast. The hosts were great, and created a very relaxed environment. I spend time in the area occasionally for work, and i'll certainly be staying again. Very friendly and welcoming. Nothing was too much trouble and a lift to our venue was provided. Excellent. Beautiful hotel in quiet location. Room was a little on the small side but clean and well equipped. Staff were pleasant and helpful. Breakfast was excellent, good choices and served freshly cooked. We will stay here again. A very warm welcome at the hotel. All the facilities were good and the shower in my single room was seemingly brand new. Fresh milk offered which was a nice touch. The owner even suggested a running route which was useful and pretty accurately measured! We were attending a family funeral and chose this hotel as the wake had been organised there. What a wise choice: Nothing was too much trouble - the place was spotless - breakfast delicious - beautiful views and lovely friendly staff. Highly recommended. Stayed one night in March. Friendly welcome and a comfortable and quiet though small room. Comfortable bed and good shower. Fine English breakfast. Very nice grounds and distant views. Convenient for east side of Exeter. My Husband & I stayed here while attending a function at nearby Jack in the Green. The bedrooms are fairly basic but the common areas are well furnished. Very friendly service and somewhere we would go back to should we need to stay in that area again. Friendly service, excellent breakfast and location. We stayed at the Grange Court on our wedding night last week and the hotel was booked out by our family as the closest place to our venue. We had a fantastic stay and the team made the morning after family breakfast a very special experience. They provided an excellent t cooked breakfast with very good service. The room was comfortable, clean and tastefully decorated. They added some personal touches for our wedding night including champagne on ice. All of the family were pleased with the service and standard of the hotel. This hotel is very well maintained, clean and beautifully decorated. The manager was very welcoming. Our room was very small but there again we did book a small double so that was to be expected. The breakfast was excellent. Overall a very pleasant stay. Arrived at 9pm. Warm welcome, slept like a log. Made to feel very welcome. Lovely and clean. Great full English breakfast. Would definitely book again when visiting that neck of the woods. Very comfortable Stay thankyou, and very nice Breakfast. We had a lovely stay. Comfortable accommodation, good breakfast & very friendly staff. It's not that easy to find though if you are arriving at night. Excellent and attentive staff. Great location. nIce and quiet had a lovely nights rest. Very pleasant welcome by John.Lovely warm surroundings and excellent breakfast.Thankyou. Felt the experience did not match the pictures. The tired and dated interior was simply depressing. Some of the 'family' should get out of their slippers when they have guest. surroundings.I was wearing slippers because i had been suffering from gout and could not put any shoes on.We try to treat all of our guest as part of our family for their short stay ,if that was not to your liking perhaps a chain hotel would have suited you better, although you wouldn\'t get a courtesy lift you would have to book and pay for a taxi. Stayed here for a birthday treat. Had a lovely stay. Brilliant setting, great breakfast, comfortable room. Caring staff. Could not fault our stay and would definitely return. Pleasant and helpful staff who drove me to the airport to pick up a hire car. Lovely setting; friendly family run hotel. Hearty breakfast to set you up for the day. Suspect we'll be back in the near future. I'm often in the area visiting friends, but this is the first stay at the Grange. Fabulous hotel, good sized rooms, all very modern, and set on beautiful grounds. Breakfast was delicious. We will be back next time we are down. We cannot fault our visit,and if we could it would be that we did not stay long enough,but we will certainly be back. Lovely welcome, very comfortable room and good breakfast. Would recommend this delightful hotel to everyone. Lovely quiet location, very friendly and helpful staff, great breakfast, comfortable room, and excellent value for money. For a nights stay close to the airport it's OK. Remote setting and with no amenities other than basics, it's OK. This is a pretty hotel in a very rural quiet setting albeit near a major road.All the fittings looked new and everything was very clean. The exceptional feaature was the great helpfulness of the staff. Diane the host was fantastic. As a frequent business traveler the Grange was perfect close to the Airport but in the country. Stylish and very comfortable. We will return! From the warm welcome when we arrived until the moment we left the next morning we thoroughly enjoyed our stay at the Grange Court. Our room was spotlessly clean and the grounds perfect to wander around in. The owners were particularly friendly and we look forward to staying there again in the future. Room was a little small but fine for a one night stay. Breakfast good. The hotel, staff and everything associated with it is excellent. I stayed in a small double, which was ample for a single occupant and very well maintained. Breakfast was freshly cooked and tasted amazing. Steve the owner was very helpful and accommodating and i would certainly recommend this hotel to others. Very pleased with our stay. Good sized rooms, cooked breakfast freshly made. Only thing is I misjudged how far out it is from the city center but would definitely go back again. My wife and I stay for a night at The Grange recently and would not hesitate in rebooking and staying again. Nothing was too much trouble and the room was immaculate, the bed was confortable and linen provide was spotless. To round it off the English breakfast was delicious!!! We utilised the hotel while visiting relatives for a family reunion in the vicinity. The facility is located in beautiful and peaceful surroundings and our room was very comfortable. The staff were helpful and accommodating not least when we arrived well in advance of normal booking in time and whilst unsurprisingly the room was unavailable we were provided with coffee. We were on a tight schedule otherwise we would have enquired about the possibility of staying a further night. We think it would provide an excellent base for exploring this part of Devon. Lovely room. Lovely people. Lovely breakfast. I never usually stay in guest houses as I prefer hotels. There are none near work, so had to stay here.....and I'm glad I did!! I will be returning in a month or so. My only tiny , minuscule suggestion. At breakfast I would like some music or tv on as I hate sitting in silence. Anyway, back to the good :) they were even kind enough to drop me to my workplace every day as a nice courtesy. I look forward to my returning here. Comfortable well-appointed room; excellent breakfast; management very welcoming and helpful. A very pleasant stay. Room was very clean. Staff were friendly and helpful without being in your face. Nice breakfast. Thoroughly recommend. A very enjoyable short stay at Grange Court.We were very impressed by the warm, friendly reception and the willingness to help in every way. Strongly recommended as a suitable base Thank you all very muchfrom which to visit Exeter and the local area. Very warm welcome, nice pleasent quite hotel. Every request taken care of, nice and relaxing, clean room, great breakfast. Only negative comment will be the staff could look a little bit smarter. The moment when you drive to the hotel and see it for the first time. Stunning building, and grounds. Hotel was spotlessly clean, room was clean and tidy. Nice size bathroom. No bath, but a great shower. So peaceful, apart from a few planes flying overhead. Beautiful hotel situated in a beautiful location. The hotel is run by a very friendly and accommodating family. The hotel is spotlessly clean and the cooked breakfast is outstanding. We would love to stay there again ! Excellent two night stay with brilliant hosts, very comfortable, made to feel at home, Will return in the future. A very warm welcome and felt part of the family. Wonderful ambience, beautifully decorated, fantastic breakfast and lovely views. Would highly recommend this hotel. Thank you for your lovely comments much appreciated. Booked a one night stay at the hotel, the staff were great and we had an excellent cozy and relaxing breakfast. The hotel grounds are nice and the bed was extra comfy. Would definitely go back. Lovely hotel. The room we had was smaller than expected but fine for one night. Bathroom seemed to be new. A very pleasant stay, very friendly and helpful staff I would certainly would stay there again. It is in a lovely peaceful location and the owners were friendly and helpful. Room was bright and comfortable. What a lovely place. Picturesque house and beautiful grounds. We could not have been made more welcome. Superb selection for breakfast. The owners most hospitable and could not do enough for us. Even to the extent of a lift to some obscure village in Devon. We will definitely return some time. Quiet pleasant location, friendly staff, clean throughout, breakfast fine. Nice view from room, easy parking and good geographical location. Only criticism....luke-warm coffee two mornings in a row-???? otherwise well recommended for a relaxing stopover. Apologies for coffee, we have now looked at a different way to serve it so that it will arrive at the table hot, thank you for your comment. During my son's long term illness I had often stayed at a Premier Inn close to Junction 29 on the M5. With hindsight it was not a restful place to stay after a long journey. Their much vaunted breakfast, in the absence of trays, involved frequent trips between the counter and the table. I gave up on the Premier Inn due the problem of booking in having forgotten my password. The computer system took an hour or so to respond with a new password facility, by which time I had successfully booked in on-line at the Grange Hotel. In comparison, a haven of peace with the attention of the owners and, unlike the Premier Inn, the Breakfast is included in the price. We stayed for three nights at Grange Court. Located down a long drive the hotel was quiet and peaceful yet within easy distance from Exeter and Sidmouth. The family were welcoming and the breakfast was excellent - as was the service. Wouldn't hesitate to recommend - really good value for money. Lovely room and lovely grounds. Very peaceful location. Great food available a short drive away. Owners went to great lengths to accommodate my restricted dietary requirements. I chose this hotel due to its convenient location close to Exeter Airport as I was traveling to Plymouth the next day for business. I found the receptionist very welcoming on arrival, offering to provide fresh milk rather than use the jiggers to make a hot chocolate before bedtime (as it was a late arrival around 10pm). The room was a reasonable size, clean and comfortable and I had a good night's sleep as the surroundings are peaceful and looked lovely although I didn't have an opportnity to explore them. Breakfast the next day was good and overall the hotel offers good value for money. A warm welcome awaits you at the Grange Court. Very clean room, nice size bathroom and fantastic breakfast. Would have stayed longer if I could. Will stay again if I ever need to get an early flight from Exeter as its close to the airport. Thank you for your kind words. I am glad that we were able to provide a pleasant experience on a not so nice occasion. I wish you a Happy Christmas and New Year. Would recommend this hotel for business and pleasure. Lovely old building with good quality refurbishment of high standard. We have stayed at hotel twice. The service is excellent. Staff very friendly and helpful. Room clean and comfortable. Excellent breakfast served in the very large dining room. Would recommend highly. Thank you for a warm welcome and pleasant stay in your lovely hotel. The room was great and we enjoyed being in the peaceful setting. Breakfast was very tasty and customer service excellent. Just returned from a one night stay in this fantastic hotel. Stayed in the executive suite with views across the beautiful gardens. Lovely, friendly welcome. Great vegetarian breakfast. Fresh, clean room. Easy to find. Beautiful rural location. Clean and tidy, nice breakfast, reasonably priced and ample parking. Peaceful location. Good pub a mile away for dinner in the evening. Comfortable rooms, exceptional service and a superb English breakfast - plus close to the motorway and Exeter. This was a return visit and we'll be back again. The room (de Luxe double) was very good as was the shower room. Breakfast was excellent and the staff very pleasant and friendly. We would definitely stay there again. Only stayed for one night whilst visiting "Jack in the Green" restaurant. We had an Executive room which was very comfortable, very clean with a large bathroom. Breakfast was also very good. Enjoyed our overnight stay at Grange court,a country house style property, friendly hosts very comfortable & clean with a freshly cooked breakfast in the morning plus very good value,gave us a lift to local restaurant, 1st class. One night stay, welcomed on arrival nothing seemed to much trouble. Room very clean and bed nice and comfy with all the nice to have bits - wifi etc. Breakfast was fab. Would definitely recommend this hotel and I would use again without hesitation. Lovely hotel and very comfortable room. Owners were very friendly and couldn't do enough for us. They recommended a place to eat and tried to reserve a place for us, but it was full. Very friendly staff. Lovely setting. Our room was a little on the small side but was very clean and the bed was comfortable. Breakfast was nice, good portion size with unlimited toast and coffee. Would stay here again without hesitation. Beautiful house and grounds (down a long driveway). Very quiet and peaceful setting. Basic room with a good shower-room. Everything was clean and tidy and service personal and attentive. I was devastated to have missed breakfast (my fault) but was kindly served cereals, toast and coffee. Not far off the M5 and a great alternative to a motel. My mum and I stayed at this hotel as she was travelling the next day really early from Exter Airport. The hotel is fantastic, comfortable and clean. The owner greeted us when we arrived and was really really nice. We had reserved dinner at the restaurant just down the road and asked him to reserve us a taxi there. When the taxi firm was fully booked, his farther in-law drove us down himself which we thought was really kind and generous. Breakfast was fantastic and overall really good experience. Would highly recommend! Welcoming owners who were helpful but also discreet. Comfortable room with the use of a superb lounge and bar. We had an excellent stay thank you. Easily the friendliest place we have stayed in, thoughtful touches made it special. Very peaceful environment, comfortable rooms and super clean! Great stay, thanks. Hope to be back soon. Second time I have stayed here working away from home,truly wonderful place tostay with a very warm welcome. Quality breakfast and lovely staff. You must visit the Pub down the road for your evening meal (Jack in the Green) its a food experience you will not forget !!!! We thoroughly enjoyed our stay with you albeit only for one night. Obviously the hotel had been recently refurbished to an excellent standard and everything was clean and sparkly and very elegant. Would certainly recommend your venue to others and would stay again if in the area. Thank you so much for your review and kind words. We are glad that you enjoyed your stay. We hope to see you again if you are in the area. I booked this loely little Hotel for a long weekend with a friend and have to say I was delighted with my choice. From the moment we arrived the Owner went out of his way to accomodate our every need. Nothing was too much trouble and his little band of smiling waitresses were just the best. The breakfast was amazing, well cooked and very well presented. The place was warm, and extremely clean and the decor was outstanding. I will definately be returning when I have to come back to the area asnd I will be recommending this hotel to everyone . what a lovely hotel. clean, warm, with great staff. We were made very welcome for our 1 night stay beds very comfortable, milk, yoghurt, fruit juices, cereal, fresh fruit, tea coffee etc was made available for our 5,30 a.m. breakfast before leaving for the airport. We had a great stay at this lovely hotel where everything was just perfect. The family were always there to give advice on the area and were extremely helpful. Very friendly and helpful staff - nothing was too much trouble. Excellent breakfast, freshly cooked to order. Lovely peaceful surroundings. 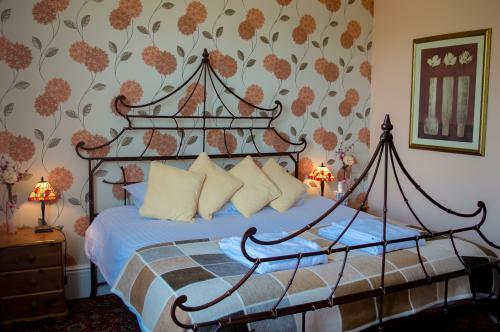 The hotel is beautifully situated and just a short 10-minute walk from a delightful Gastro pub. Accommodation is clean and fresh and the breakfast is wonderful. The host Andrew very polite, friendly and personable. The staff were very friendly and helpful, and the room was clean and beautifully decorated. The bed was also extremely comfortable that despite not being the best of sleepers I had a brilliant nights sleep. I would highly recommend this Hotel. The grange court made us feel very welcome, bed was very comfortable and breakfast was very good, it was very clean, and would definitely stay again. Staff are very accommodating and friendly. An excellent hotel with genial and helpful host/proprietors. I have posted a more comprehensive review on tripAdvisor. Very friendly helpful staff. Our room and bathroom were lovely and clean. Quiet and peaceful setting would definitely stay here again. 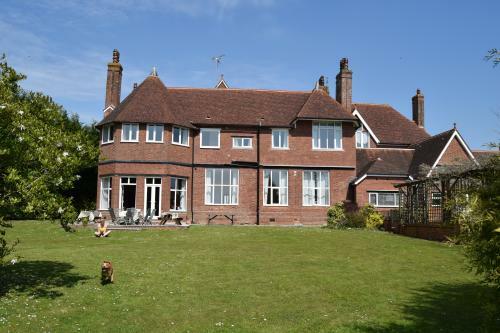 Most excellent stay, very peaceful location whilst well located. Rooms, facilities and staff were excellent and catered for our Gluten Free requirements as well. Without hesitation we would go back and stay again. A very attractive & comfortable hotel. We were warmly welcomed, & our rooms were clean, bright & well furnished. The full english breakfast was served by friendly waitresses & was very tasty. We would certainly recommend this hotel. Just a one night stay on a business trip and wished I could stay for longer. Excellent all round. Will get back for a long weekend soon. Our stay at your hotel was one of the best. It was very very clean. The staff are fabulous. Thank you so much, it was a pleasure having you all stay! Very impressed with the high standard of accomodation, immaculate presentation and courteous owner. The information pack in the room was a great aid to finding an excellent place to eat. The toiletries provided weren"t the 'run of the mill' variety,lovely scent. I was impressed that we were offered fresh milk on arrival for the tea making facilities. The breakfast was cooked to order, extra toast requested - delivered almost instantly! Would definitely return if staying in the area. We are so glad that you enjoyed your stay and we can only hope that everyone enjoys it as much as you did. We hope to see you again if you are in the area. Warm welcome. Good advice on where to eat locally. Comfy, well proportioned room. Would highly recommend. Thank you Adam, so glad that you enjoyed it. The hotel is in a superb location and with friendly staff and great management it was a fantastic find for us. We were visiting family in Ottery St Mary so The Grange location at Rockbeare was ideal. We were greeted by a lovely receptionist and offered fresh milk for our tea/coffee in our room on arrival. The house is beautiful and spotlessly clean, our room was cosy but the bathroom was a great size and totally modern. The bed was very comfortable (husband had a bad back so he was very happy!) and with a fantastic view through huge windows we were very pleased with our stay. The only point I would note is that Exeter airport is quite close so we did have some noise from engines but it did not affect our stay. Lovely breakfast and friendly staff - in all an excellent stay and we will certainly return! Thank you so much for your kind review. We really are so glad that we were able to make your stay such an enjoyable one. We wish you all the best for the future and hope to see you again. Grange Court was a wonderful find! Everything lived up to its promise - and more. The hotel is beautiful, the rooms immaculate, breakfast scrumptious and generous and the owners and staff go out of their way to help and make sure your stay is really enjoyable. Thank you one and all! We were most impressed by our welcome - and the friendliness of the staff throughout. Owners and staff very kind and helpful, beautiful location, lovely house, confortable room, good breakfast, close to many attractions around Exeter. Great experiece. We were delayed by fog in Exeter and booked at Grange Court. The personal touch, the lovely room and the genuine friendliness of the proprietors absolutely made up for missing the first night of our holidays. Will go back. comfortable, well furnished, very clean, delicious breakfast. And from the moment we arrived we were looked after by some of the most exceptional staff we\'ve ever met.. We would highly recommend, and will come again. We thought the venue was really lovely & the atmosphere friendly & welcoming. Lovely breakfast & fell in love with your dogs! Would certainly stay again when in the area. We stayed here for our wedding weekend. The owners couldn't have been more helpful or obliging. Our room was large with a huge bay window overlooking the lawns, the bed was comfy and the bathroom was neatly laid out. The weather was great and we sat out in the garden in the evening with a few selections from their amply stocked bar. As others have said before the breakfasts are amazing especially the sausages. Can't recommended highly enough. Only comment really was we were surprised at the size of the room and lack of space for luggage. We dud enjoy the lounge area and sitting outside I the garden very much though. Have just spent a lovely weekend at this hotel. It is a in a great location, very peaceful. The hotel is immaculately clean, tasteful decor, and lovely freshly cooked breakfast. Would definitely return if I visit that area of Devon again. Thank you for your kind review and look forward to you returning. Wonderful hospitality, very accommodating of our travel schedule, including an early arrival for a local wedding. The grounds are beautiful and the room was to a high standard at a very reasonable price. Would highly recommend this place to anyone staying around the Exeter area. Please we could help, and that you had a great day at the wedding. This hotel is ideally located if you like somewhere quiet even though it's located close to Exeter Airport there is very little noise. I had a single room which was comfortable, and clean. I opted for this over the usual travel lodge etc because a hearty breakfast was included in the cost. Free wifi through the accommodation and ample parking. If I go back to Exeter I will be staying here again. We only had one night in this very nice hotel. The rooms are cozy and very clean , the bathroom modern and the service excellent . The view from the terrace is fantastic and the breakfast was delicious. Thank you Katrin for your kind review. Lovely couple who own the hotel.very helpful plus very good breakfast. Would recommend again as we broke our journey down to Falmouth. We stayed here for a weekend in June 2015, in town for a wedding. The service was excellent (they collected us from, and dropped us off to, train from/to London, and stayed up late to let us in after wedding). Very nice room with lovely view, and good breakfast. Thank you Lucy so pleased you enjoyed your weekend. Lovely hotel in beautiful grounds. Very clean and we were made to feel most welcome. Would definitely stay again. CONGRATULATION to you both, we hope all went well on Saturday. The most spotless and clean room I experienced in years! Great gastropub just around the corner. Excellent in all respects, including very friendly owners and staff. a visit,the ambiance was most welcoming. We look forward to our next trip to Devon. The staff were extremely attentive. ps Heather, once we are able locate the secret ingredients for the scone mix. we will let you know how successful we may have been. Many thanks for a most enjoyable stay. Sam and Rani. Thank you for kind review, please keep me posted on the scones!!! Fantastic place to stay, very friendly helpful owners will diffinatly stay again when travelling to Guernsey or when ever we are on the area many many thanks for making us both so welcome. The description of this hotel is very very true enjoy. Lovely warm welcome. Beautiful view from the small single room, bathrooms spotless and lovely decor. Fresh milk brought for coffee& tea in room. Breakfast very tasty and good choice.Vegetarian cooked breakfast option would've good but to be fair we didn't ask. We were delighted to find such a charming and comfortable B&B. The bedroom was beautiful and the bed very comfortable. Breakfast was well cooked and presented and the hosts were friendly and accommodating. The location was excellent - close to the M5, Exeter and a gastropub. This was a great find and we hope to return again. Lovely setting,peaceful and relaxing,spotlessly clean.Petfect hosts who couldn't be more helpful.Will stay again when in the area. we were made very welcome, the hotel was spotlessly clean and tidy. the landlord and lady were very helpful even to the point of driving us to the funeral wake in the next village and back via the very helpful landlord of the jack in the green pub near the grange. an excellent location for a venue . would fully recommend this place. So please we could help you on a sad occasion. A very clean and comfortable hotel set within wonderful grounds. I was personally checked in by Heather who also showed me to my room. Superb breakfast in a clean and clinical environment. Will definitely stay here again. Thank you for your kind review hope to see you again soon. Owners are very friendly and accommodating. Well situated large house and spotlessly clean. New modern bathrooms and crisp bedding. Great quiet location in lovely grounds. Host and Hostess very friendly and welcoming, more than willing to help with any questions and advise on local restaurants. Comfortable bed and very nice en suite. Great view from bedroom. Thank you Gary for your kind review. Heather is the nicest hotel Owner I have ever met in 37 years of travelling. Nothing was too much trouble and the peace and quiet was fantastic. The cleanest Hotel I have ever stayed in in the world!! Thank you Louise that is one of the nicest reviews we have received. If you enjoy beautiful scenery, fab English breakfasts, superb hosts and staff, all within easy reach of Devon's many attractions, then this is the hotel for you ! This was an extremely pleasant and very clean hotel. Sheets did not fit the bed very well and the bed seemed a wee bit small. This fabulous location is set in a quiet setting but still close to Exeter and other major towns. A welcome you'll seldom get anywhere else and staff all too pleased to help and make your stay enjoyable and memorable. I have no hesitation in recommending this hotel. We are glad you enjoyed your stay at the hotel whilst attending a wedding. Our stay here was outstanding among the many hotels and B&Bs that I have stayed in. We stayed 2 nights and were glad that we did. The rooms were generously proportioned with a comfortably sized bathroom. The room had a desk and two chairs, and there was plenty of space to put clothes and bag down. Bathroom had space for toiletries. Everything was comfortable and tastefully decorated. The lounge area is beautiful and it was very pleasant to take a turn in the gardens in the evening. Andrew is an excellent host and makes you feel very welcome and at home. The jack in the Green gastro pub is just down the road and serves outstanding food in a pleasant setting with excellent service. Thank-you for a very lovely 2 nights. If I am ever in the area again I will stay at this wonderful hotel. And don't be concerned that it is not right in the city - access to the ride and park is easy and the country setting is beautiful and relaxing. If you can stay here, then do, you won't regret it. Stayed one night flying on holiday. Lovely house, position, staff courtesy. Everything we needed was there. Can recommend as overnight stop or base for holiday. Although near airport, far enough away for no noise problem. Excellent evening meals nearby. Thank you for your review, we hope you are having a nice holiday. This is a lovely place to stay, and we enjoyed our time here immensely. The owner and all the staff were friendly and helpful and the hotel has such a lovely atmosphere. Our room was spotlessly clean and very comfortable. Breakfast was excellent. We will recommend this hotel to others, and look forward to staying here again ourselves. Thank you! Thank you for your kind review, we are please you all enjoy the wedding weekend. It was a great weekend for a wedding. We had a fantastic weekend here. It was the ideal place for us to stay as my uncle was getting married nearby. The hotel was available for us to use to meet other family members and relax. Our cosy double was very comfortable and breakfasts were scrumptious. Really enjoyed meeting Teddy and Milly! We are pleased that you all had a time and the wedding went well. Teddy and Milly loved playing with everyone. The room was comfortable. The staff couldn't have been more accommodating. The local town is lovely. Thank you Paul for your review, glad you a enjoyable stay. Hope your eye is getting better. We booked 2 rooms for the weekend of my brother's wedding - one for my parents and one for us. Both were beautifully appointed and had very comfortable beds. Breakfasts were good quality and substantial. Hospitality was such that we did feel home from home. We had a super stay and my parents cannot stop telling others of how much they enjoyed their stay and recommending the hotel. My husband and I thoroughly enjoyed our stay at the Grange Court Hotel. It is run very efficiently, the staff and owners are friendly and helpful, and the breakfast was excellent. Very comfortable and quiet overnight stay - hard to believe the hotel is so close to Exeter Airport. Very comfortable bed and well-appointed room and an excellent breakfast. A good evening meal too at the recommended pub just down the road. All in all an excellent overnight stop. Thank you for your kind review. Hope to see you again soon. My partner and I have now stayed twice at the Grange Court Hotel and can highly recommemd it. The staff are absolutely supurb and the room, breakfast, location and ambience is brilliant. Would certainly stay again and could not fault the place. Heartfelt thanks to the staff and owners, who went out their way on the two occssions we stayed. Top marks! We used this location to leave our car and go on holiday, returning back in the middle of the night about two weeks later. It worked really well for us and everybody at the hotel couldn't do enough to accommodate our needs. We will certainly recommend this location to all our friends as this is a gem for Exeter late night flights if you don't want to drive home in the middle of the night. Many thanks to everybody at the Grange who not only provided and excellent service but a lovely breakfast too. So please you had a good holiday, and see you again when you are topping up your tan! Stayed one night; very friendly and helpful staff, good night's sleep and perfect breakfast. Would happily stay again. We spent one night here. Rooms great and inexpensive. Owners/staff very welcoming and friendly. Happy to cope with severely allergic son...so all good.Thoroughly recommend it! The second stay at Grange Court. Excellent once again. I will be staying again. Thank you for booking again, see you soon. We recently enjoyed an very comfortable stay at Grange Court. Every little request was taken care of quickly and with a smile. We were even greated with a supply of fresh milk for tea when we returned to the hotel. These little touches make a good hotel great. Thank you for your kind review. Hope you went on to have a nice few days away. Cleanest hotel we have stayed in. Nothing too much trouble for the staff, truly 100% with their customer service. Makes a change to have everything at hand without having to ask for something. Would certainly recommend this hotel. Thanks Paula, Glad you had a nice weekend with your new grandson. We stayed at Grange Court Hotel on our way flying from Exeter Airport to the Scillies, and had a wonderful stay. The standard room was well equipped andclean, beds were very comfortable, and the family could not have done enough for us. On our way back from the Scillies, we arrived late and Heather prepared sandwiches and a bottle of wine for us to sit in the beautiful spacious lounge in front of the fire. Lovely venue with great surrounding gardens. We were able to park our car there at a small cost for the week we were away. Definetely 5+ stars, for comfort and hospitality. So pleased we were able to look after you after your long day of traveling. We stayed overnight at the Grange Court hotel, prior to the sad event of a funeral close by the following day. The hotel itself is a lovely building with fantastic grounds. The rooms were tastefully decorated and very comfortable.The owners were friendly and extremely helpful, and the breakfast was of a very high quality. For use as a venue for a funeral (or any other) reception, I could not recommend the hotel more. It is located a reasonable distance from the M5, for people traveling, and it is only 5 minutes drive from the crematorium. The reception room is very beautiful, overlooking the grounds, and the owners can provide a variety of food and refreshments for any time of day. All in all, a perfect choice. Thank you for your kind words. So glad we managed to deliver what you were looking for. This hotel gets five stars from me. The proprietors were very helpful during our stay and the hotel is lovely and well appointed. Many find this useful for staying overnight before a flight. Being objective some might not like the country aromas, we didn't mind and we are townies. Keep in touch and let us know how the house hunting goes. Professional, polite & warm welcome on arrival. Facilities perfect for short or longer stay persons who prefer relaxed & peaceful surroundings ( Lovely secluded gardens) Clean room, mini bar, public lounge area & full enjoyable breakfast served promptly & with attention to detail. No fuss on check in & check out, Wi Fi & ample car park spaces. Would recommend this hotel as staff attentiveness makes a real difference from average hotel chains/brands. Thank you for your review. It\'s was a pleasure to have you stay. Hope to see you again when you are in the area. We had an enjoyable stay of 4 nights. The hotel is very peaceful: we slept well. The hotel owners are very friendly & helpful. Breakfast was well cooked & plentiful. The wonderful bistro just down the road is a bonus! Thank you so much for you review. We are all glad that you had a nice time and hope to see you again if you are in the area. Fantastic location, warm friendly atmosphere with very helpful staff, nothing was too much trouble and made to feel very welcome. Breakfast was one of the best and would certainly choose to stay again and recommend to friends. Thankyou. Thank you for your review and kind words. We are so glad that you liked our little place and especially my breakfast. Hope to see you or your friends in the future! Stopped in this hotel on just one nights booking through my job, very pleasant stay , hotel has character and is immaculate throughout, hospitality was top drawer and very quiet for a guaranteed sound sleep. We are so glad you enjoyed everything. Please bear us in mind if you are ever in the area again! We enjoyed a lovely night at the Grange Hotel in Devon - friendly staff and comfortable rooms. The garden was lovely and there is a friendly, frisky resident cat! Highly recommended. We are so glad that you enjoyed your stay with us. I think we were all very lucky to have had sunshine, especially on a Bank holiday weekend! Sorry about the cat, I believe it is our neighbours. All the best and hopefully see you if you are in the area again. We stayed here as a stop off on our way to Padstow. From check-in to leaving the service was fantastic. We stayed in the family room, double bed and a single and it was huge. Breakfast was plentiful and set us up for the journey ahead. We wouldn't hesitate to stay here again. Thank you so much for the review. I know it was only an overnight stop but I\'m glad that we were able to provide a break in the journey for you. I hope that the traffic wasn\'t too bad and that you had a great break! We choose Grange Court Hotel for our short stay in Devon for a number of reasons; its close proximity to Exeter, a fairly central location meaning both coast and inland areas were accessible and its quiet position. We were not disappointed with excellent views over beautiful countryside and peaceful surroundings it proved to be the ideal place to spend our short stay. The rooms were spotless and had everything you would expect. The breakfasts were excellent and our hosts ensured we had a relaxing and most enjoyable time. I would certainly recommend it to any one wishing to stay in this area. Thank you for your review. We are so glad that we managed to deliver what you were looking for. It was a pleasure to have you stay with us and we hope to see you when you are next in the area. 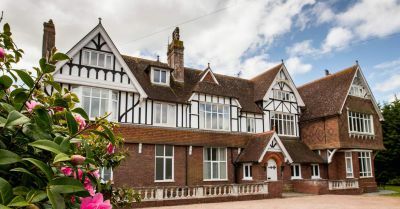 The Grange Court Hotel is a lovely place to stay, it is well situated in the most peaceful spot, yet close to Exeter and its surrounding places. Spotlessly clean and with a fantastic welcome from the owners you feel at home from the moment you arrive.Would definitely recommend. We really are so glad that you enjoyed your stay with us. Thank you for the review. A very comfortable, spotlessly clean and utterly peaceful place to stay. Beats your run-of-the-mill travel inn any day. We are so glad that you enjoyed your stay with us and for your kind words. A most enjoyable stay and we look forward to visiting again. Highly commendable. We are so glad that you enjoyed your stay. Fingers crossed that we get to see you again soon. Such a warm welcoming, everything was spotless, service was great, nothing was to much trouble. Certainly would recommend this hotel and would stay again when near by. A peaceful haven of tranquility in lovely gardens. The service from Andrew was superb. The allocated room was a little on the small side but fairly priced.Breakfast was great & the best poached eggs ever. So glad that you enjoyed. It would be a pleasure to have you stop again, any time. We do have bigger rooms available so if you are back in this neck of the woods just let me know and I\'ll make sure that you have the space you need. Stayed for one night with my wife and teenage daughter with a superior double En-suite and a double En-suite. Excellent standards, comfy beds, nice breakfast and genuine nice service. again when you are in the area. Hope your daughter got on well. We held my Mum\'s funeral wake at the Grange Court Hotel & we were made to feel so welcome & so well taken care of. Heather was so helpful & efficient in planning the event & nothing was too much trouble. A beautiful hotel in a gorgeous setting. when you are in the area. I am so glad that you both like it. I hope your meeting went well and we see you soon! Fabulous service. Extremely clean with a lovely breakfast. Peaceful surroundings despite being close to the airport. Very nice small hotel with personal service. That is very kind, I\'m glad you liked the breakfast. Hopefully the journey back wasn\'t too bad. Please bear us in mind in the future. We stayed here overnight to pick up relatives coming in on an early flight to Exeter airport. Spotlessly clean. Service was excellent, as was the cooked breakfast .... served early for us. Went to Jack in the Green for dinner the night before. That was a good recommendation. No aircraft noise and a pleasant rural setting. The new owners try hard and deserve to succeed. Thank you so very much! We hope you had a wonderful weekend with your relatives. Hope to see you again in the future. I was very impressed with The Grange Court Hotel Rockbeare. The hotel is close to all amenities but is still tranquil and peaceful. The building is beautiful with well proportioned public rooms and lovely grounds. My bedroom was a nice size with a lovely en suite shower room, wc and handbasin. The towels and bed linen were of good quality and everything was like new, the bed and pillows were extremely comfortable. The whole hotel was immaculately clean and spotless. Breakfast was first class with lots of choice, I had a cooked breakfast, it was delicious and of good quality. Heather the owner and hostess was friendly and helpful and I have no hesitation in recommending this hotel to anyone staying in the Rockbeare area. I stayed one night whilst visiting my daughter at university in Exeter. The room was extremely quiet, clean and comfortable and I had a lovely cooked breakfast the following morning. It was half the price of staying in Exeter and there is parking. I would definitely go there again. I am so glad that you enjoyed the stay and I hope the jouney home wasn\'t too bad. We hope to see you next time you visit your daughter. 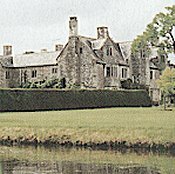 A beautiful large Manor House in rural Devon. If you want a very clean, polite and quiet break then this hotel is for you. The hotel was very sweet and maintained to a very high standard, the room was fantastic and had plenty of room. The on suite for all we knew was brand new & spacious. We wouldn't hesitate to visit again due to the brilliant breakfast the morning after. It was a pleasure to have you and we are so glad that you enjoyed your stay. I\'m glad you like the breakfast, I\'ll pass on your kind words to the team. A lovely comfortable homely place to stay in the countryside. Would love to stay in the summer months as the garden and grounds are spectacular. Friendly and warm hosts with excellent customer service. Very accommodating and understanding. A hidden treasure. Thank you so much for your kind review. It would be lovely if you could come and visit again when the weather is better and enjoy our garden. I wish you all the best and hope you will visit again. We can't praise the hotel enough. Heather and Brian made us feel so welcome as soon as we stepped through the door. They had upgraded our room which was an unexpected wonderful bonus for our 3 night stay. The room was spotless and delightful with just the right amount of added extras such as a sofa in front of the settee, toileties and the requested mini fridge for my partner's medication. We had a wonderful night's sleep in the kingsize bed - so quiet and peaceful we nearly overslept. Breakfast was scrumptious with the best tasting porridge outside of Scotland!! Not to mention the locally sourced eggs, bacon and sausages which Heather cooked just right.Everything beautifully presented with a genuine, happy smile from the young waitress. We'll definitely stay again next time we're visiting Exeter. Thank you for your kind words and praise. It really was our pleasure to have you as it would be if you visited again. We very much enjoyed our short stay. We received a warm welcome, the rooms were immaculate, and the breakfast just right. Well recommended. We stayed here for 2 nights and were overwhelmed by the warm, friendly welcome we got from this family run hotel, breakfast was first class, the hotel was pristine and elegantly decorated. Would definitely return here and would 100% recommend this as a place to stay. I stayed at Grange Court while attending a business event at West Point. Andrew and Heather made me very welcome with a very friendly and personal touch. My room was very comfortable and scrupulously clean. Breakfast was excellent and the recommendation of The Inn In The Green resulted in me having two delicious dinners. We had a very lovely stay at this hotel with very charming hosts. The hotel and bedrooms were just as described and very comfortable indeed. Service was discreet but exemplary. Breakfast was superb with a huge range of choice. Hotel is set in a stunning and very quiet location ensuring a great night's sleep. Can highly recommend this hotel. A fantastic place to stay, very warm, welcoming and comfortable. Nothing was too much for the hosts. I will definitely be returning very soon I hope. Friendly and really helpful. Quiet hotel with stunning views. Pub down the road had great food, which the hotel had prebooked me a table. Would recommend. I was required to travel to the area on business at very short notice. Andrew at The Grange Court was absolutely brilliant in terms of arranging taxi's and table bookings for my trip. The Grange Court is a lovely period property in stunning grounds - it provided a welcoming and relaxing feel even though I was on a pretty hectic schedule. Clean, tidy and extremely well presented. The service was first rate - thoughtful and friendly but not overbearing. I have already recommended The Grange Court to colleagues in the office who are likely to be making business trips to the area in the future. First rate and excellent value. Stayed here only by chance as working in the area, wonderful place and spotless !!! Just a 1 night visit on a business trip to the area. So much better than the chain hotels, and at a very good price. The quality of furnishings, toiletries, towels etc was exceptional. WiFi signal was strong. Nothing too much trouble for the friendly owners/staff. Very good breakfast too. Will stay again for sure when back down. Weather was poor but I expect it looks even more delightful in the sun. We joined other members of our family on a Sunday evening for a funeral of my Uncle at St Mary's Rockbeare the following morning. This family run hotel could not have been more accommodating. Our room was excellent and spotless. Due to the circumstances we were allowed a late check out so we could change from our formal attire. It is close to Exeter airport but not on the flight path so very quiet. First class and very highly recommended. We would definitely stay there again if we have a reason to visit the area. Thank you so much for your kind words. We are only glad that we could make a difficult time easier for you all. It would be a pleasure to have you stay with us again.